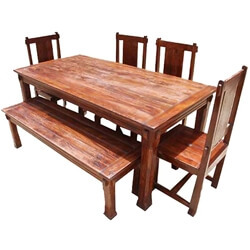 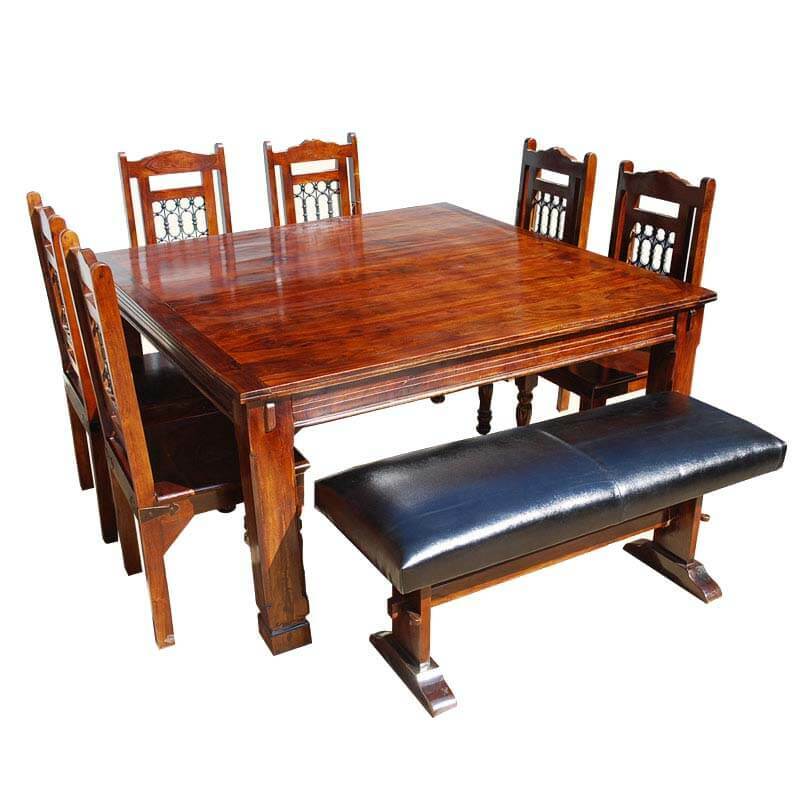 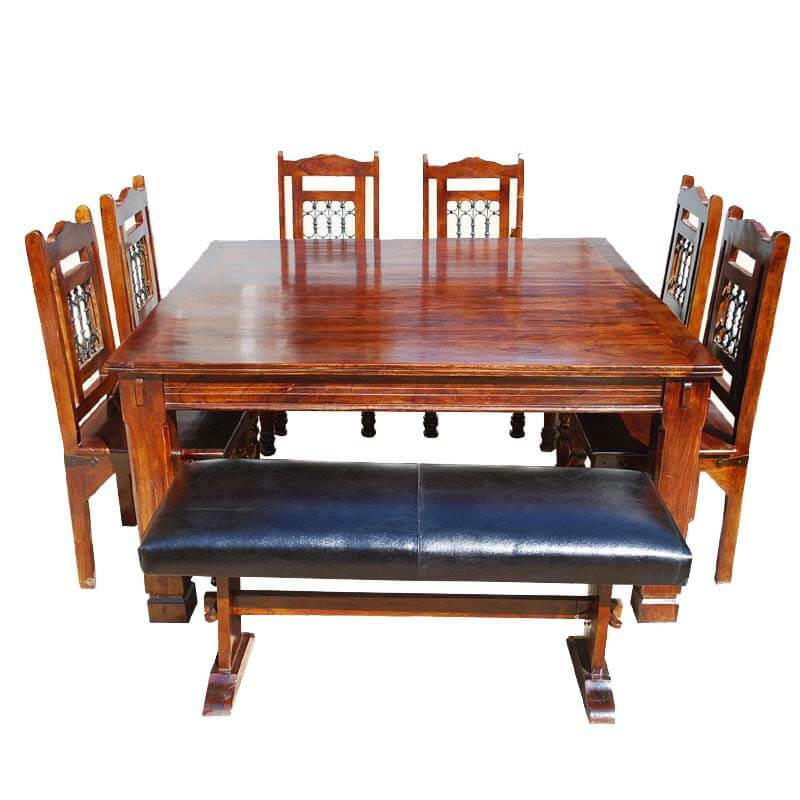 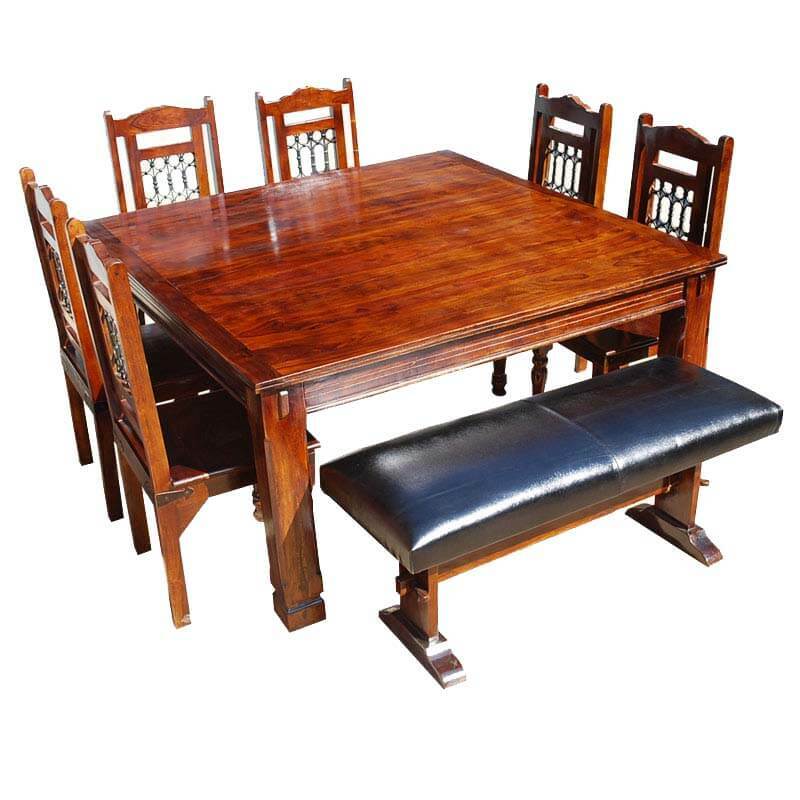 Our Philadelphia Solid Wood 8pc Dining Set w Leather Bench is constructed from solid, a popular variety of Solid Wood sought after for its strength, durability, and beautiful wood grain patterns. 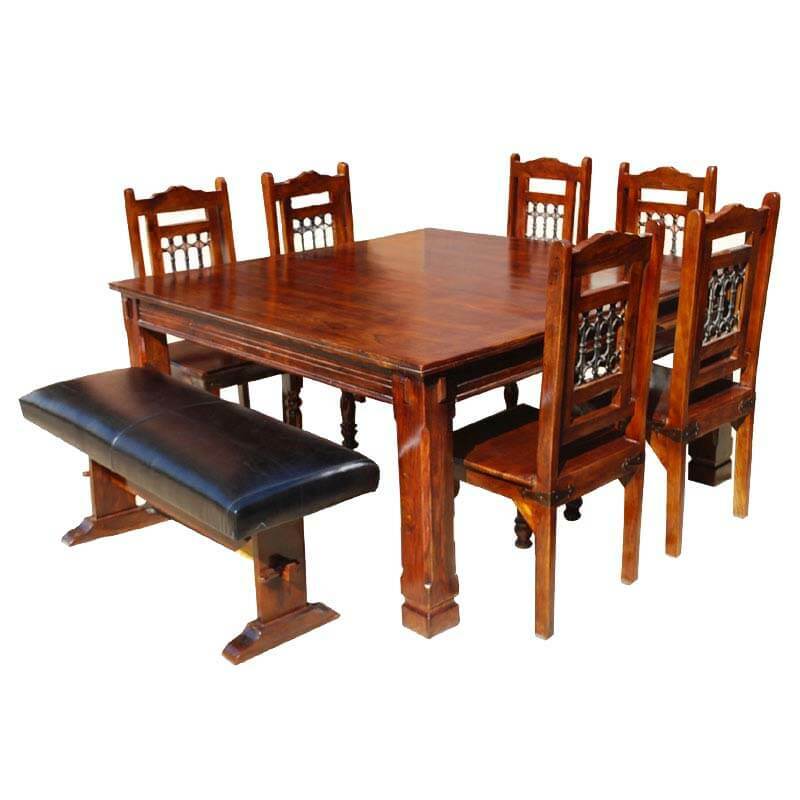 The chair backs feature wrought iron grillwork and the bench is upholstered in your choice of leather. 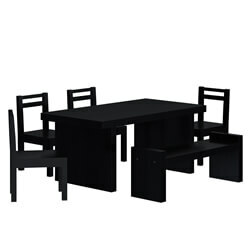 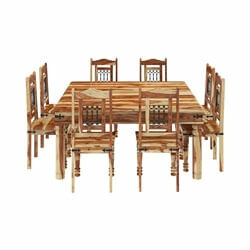 Celebrate the tradition of fine handcrafted furniture with this classic dining room set. 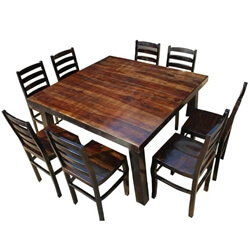 The solid hardwood table has butcher block styled legs and an elegant framed table top. 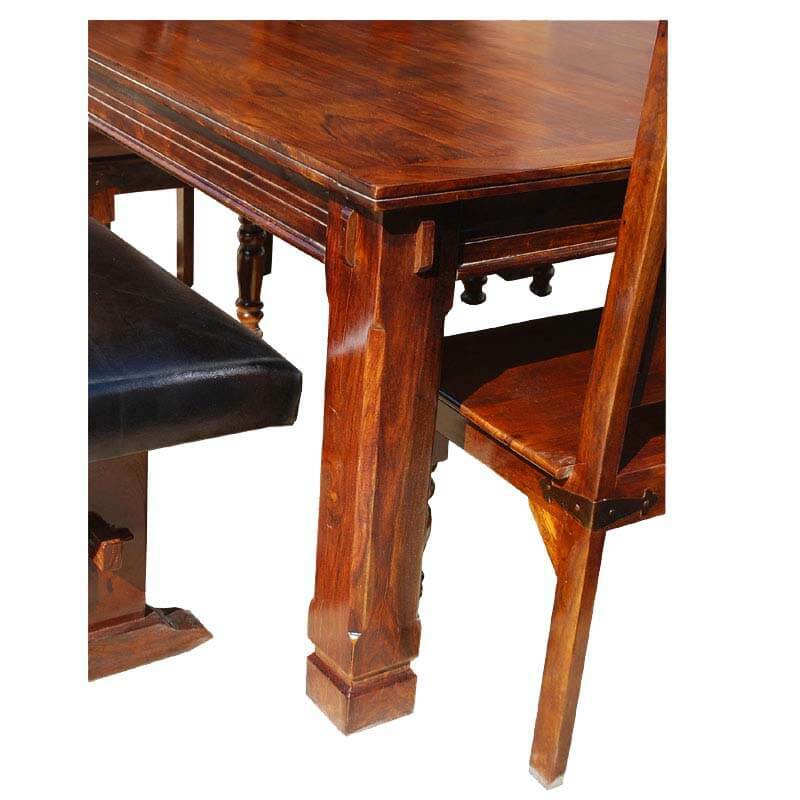 Each chair has a wrought iron grill set in by hand and front country column legs. 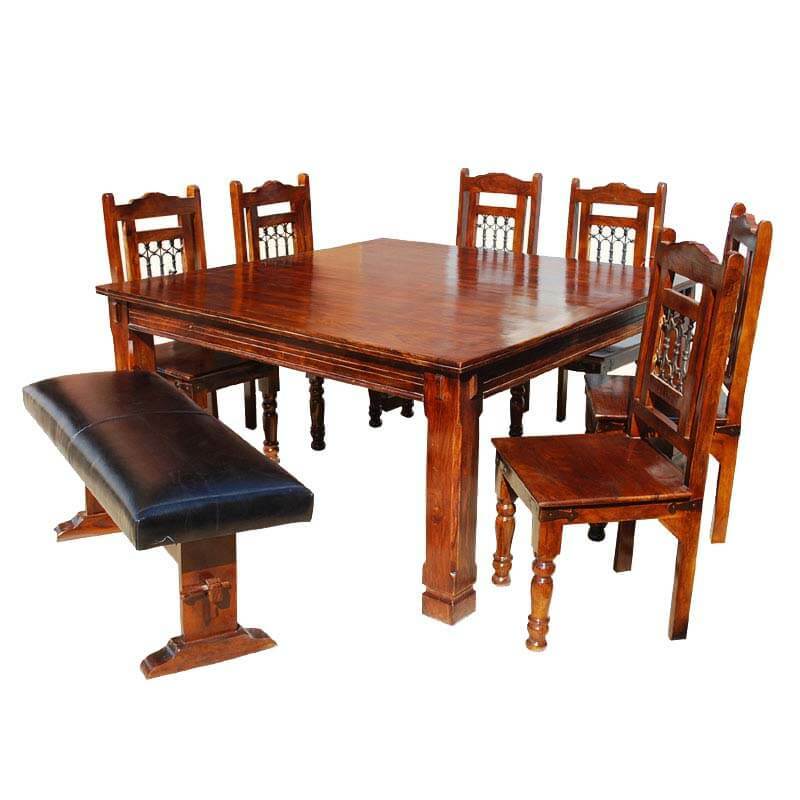 The Amish styled parson's bench is upholstered in quality leather in your choice of color.